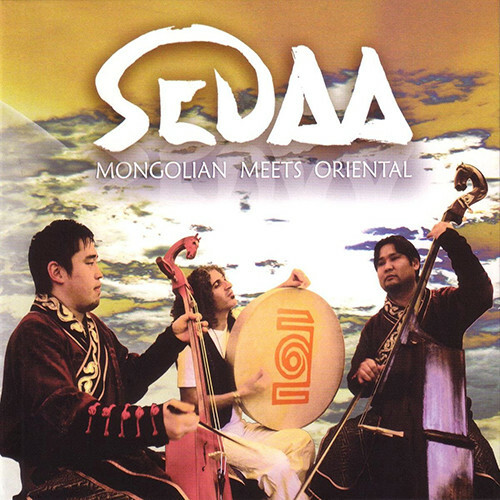 Sedaa means "voice" in Persian and connects traditional Mongolian music with the Orient which makes an extraordinary and fascinating sound. Master singer Nasaa Nasanjargal and Naraa Naranbaatar who studied in their Mongolian homeland, abduct you together with the virtuosic Dulcimer player Ganzorig Davaakhuu and the Iranian Multi-instrumentalist Omid Bahadori into one genuinely exotic world between Orient and Mongolian steppe. The base of their modern composition is formed by natural sounds which are produced with traditional instruments and the use of old age song technologies of their nomadic ancestors with which a person produces several tones at the same time. Vibrating undertone vocals and the amazing harmonic singing Hömii with the company of the melancholy sounds of the horse head violin Morin Khuur and the pearly sounds of the 120 strings hammered Dulcimer melt into the pulsating oriental drum rhythms to one mystical sound. With acoustically balanced titles, "Sedaa" presents live an innovative marvelous Sound. The wild rhythmic songs, like the "trotting of the horses", or the tender played ballads take the listener on a journey in the wide landscape of nature.